Naftogaz Ukrainy has denied the statement of Kyiv City State Administration that the Kyiv Economic Court had denied the petition to recognize Kyivteploenergo as the assignee of part of the debt obligations under the agreement on natural gas supply between Naftogaz and Kyivenergo. "The decision on the case, in which the court considers the issues of succession in debts, is expected to be closer to the end of the month ... Today a petition of Kyivenergo was considered that a disputant in one of the many court cases between us and Kyivenergo is new municipal company Kyivteploenergo. The court rejected the appeal," the company said. 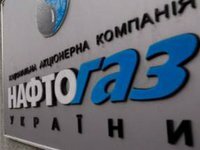 Naftogaz noted that the decision does not bring Kyiv City State Administration closer to the goal of forgiving Kyivenergo a UAH 4 billion debt at the expense of Naftogaz. "Kyivenergo has enough debtor indebtedness from consumers (including Kyiv City State Administration) to close the debt to Naftogaz. When transferring boiler houses and other property to Kyivteploenergo, responsibility for accumulated debts is legally transferred to it. If the new enterprise does not take its debts and claims on them, Kyivenergo will be able to raise these funds from consumers but not pay to us," Naftogaz said. Naftogaz noted that the company does not require immediate payment of debts, but only its recognition, as required by law, and is ready to discuss with Kyivteploenergo the schedule of restructuring and writing off the accrued penalties.